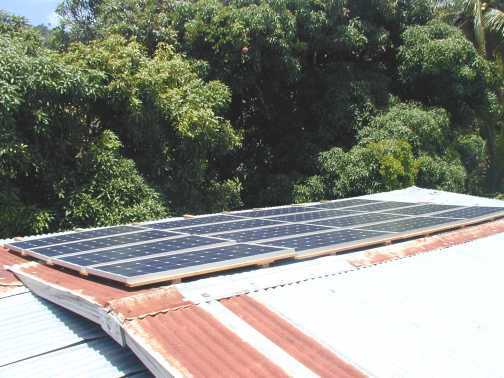 We use photovoltaic solar panels to create the electricity that our machines use. Currently we have 6920 watts of pv power on our roof and in our yard, large deep cycle batteries and various controls as our power system. 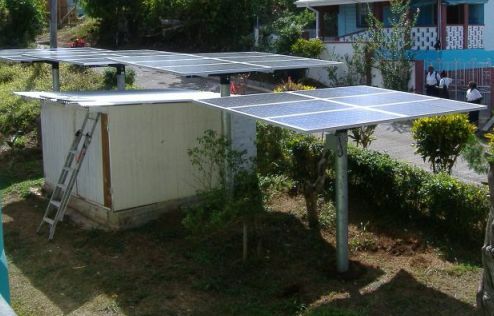 We use grid power to augment and back-up the solar panels by employing a large fork-lift battery charger. We also have a propane fueled generator to cover us during grid outages that correspond to cloudy weather times. Chocolate making is a 24 hour activity and the machines require continuous power. 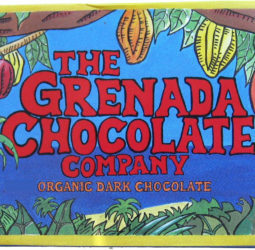 Check out the featured article in the current issue of Home Power Magazine by Grenada Chocolate’s co-founder:”Solar-Powered Chocolate Factory”(PDF).